East View Map Link (EVML), a certified NGA and NOAA print on demand printer; provides mariners with historical National Geospatial-Intelligence Agency POD approved nautical charts. 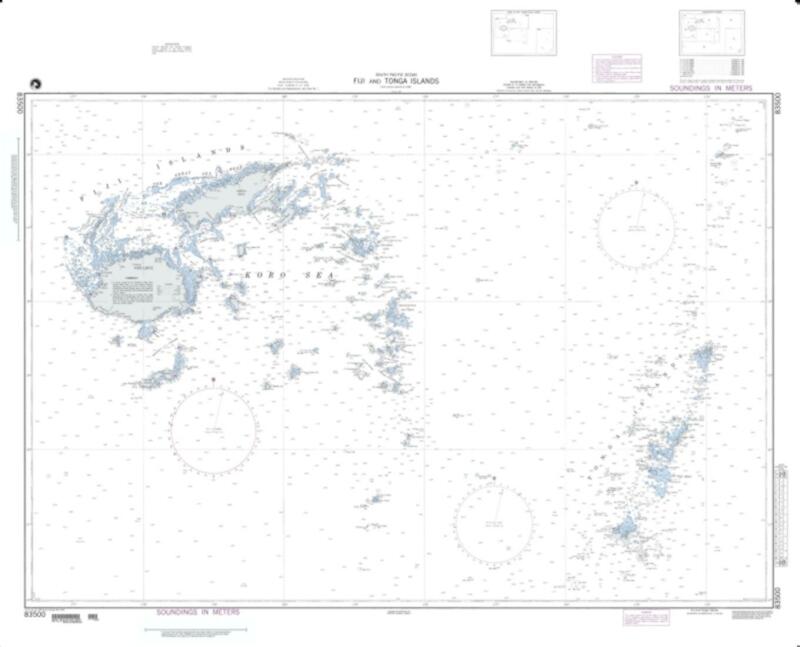 Our Fiji And Tonga Islands - South Pacific Ocean nautical chart (Map Index 83500) is printed using high resolution, heavyweight and acid free paper. All NGA nautical charts ship rolled, and are printed by East View Map Link, LLC.